Wow, looks like he/she's wearing a tux. This is on a golf course Island. some mega rich guy bought an entire island about 20 miles from my house and made the entire island 18 holes. its mega cool and full of birds taking advantage of the fresh water and flora. Hea goodlookin Avatar as usual. What a sweet expression this bird has. I also love the reflection on the water. I don't see them often it makes them a little special. 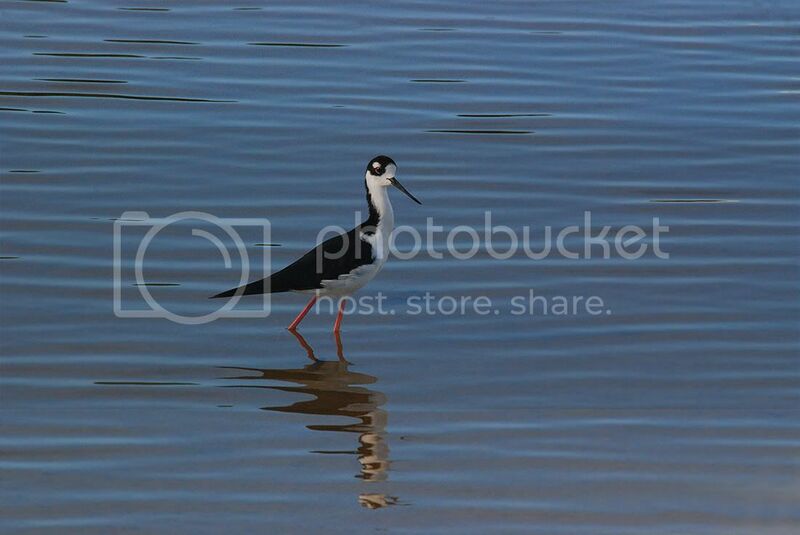 Very like the Eurasian black-winged Stilt. Great reflection there! Have a good trip and post some shots.